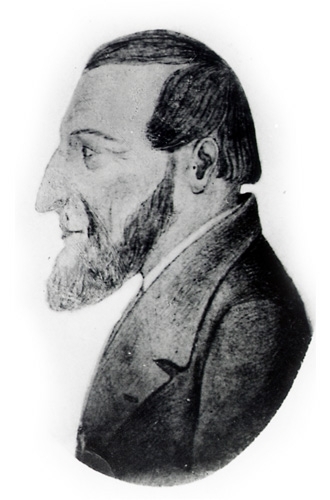 The Apostolic Christian Church (Nazarean) had its beginnings in Switzerland with the preaching of Samuel Heinrich Froelich (1803-1857). As a young seminary student, he heard the call of the Lord. Convicted of his sins, he sought the Lord fervently and with many tears. In his own words, “In this fiery furnace I remained a long time, till at length the eye of faith, centered in Jesus Christ the Crucified, brought me rest and peace and light, and a new creation found room in me”. It was after this dramatic conversion that he completed his ministerial exams and was ordained into the clergy of the Swiss Protestant state church. He was subsequently made the vicar of a small congregation in Leutwil, in the canton Aargau. His preaching was with power and sparked a great awakening—Many from the surrounding churches came to hear his sermons. The church services, previously poorly attended, were now full. Froelich’s sermons were on “the chief teachings of the Gospel”. He taught that man is dead in sin: that he is made righteous through Jesus Christ alone and belief in His atonement, and that through faith we are born again and receive the Holy Spirit in place of “the deadening and damning law”. Such a message was in radical contrast with the state church—it found an eager audience among those who hungered and thirsted for more than what they had been receiving. Therefore, it was not surprising that the jealous vicars of the surrounding congregations soon found many reasons to criticize this new preacher. Also during this time, as Froelich’s knowledge of the Scriptures increased, so did his opposition to the prevailing custom of infant baptism. Conflict with the church council grew and ultimately led to his dismissal from the clergy, and excommunication from the state church. The sanction of the Aargau government included traveling, and both Catholic and Protestant church officers were ordered to have him arrested and returned, should he enter their jurisdiction. As an outcast, Froelich began to affiliate with the Old Baptists (Mennonites) and others who had left the State Church. Having renounced infant baptism as unscriptural, Froelich was re-baptized in February 1832. In spite of the uncertainty of his situation, he became active, traveling to preach to those who would listen. It was during this time that he received great notoriety as a sectarian. He was in continual danger of being jailed and often traveled at night to avoid arrest. During this time of persecution, he preached in private meetings and many new churches were planted. It was not his intent to form a new denomination. However, he and those who belonged to this movement became known as the Neu-Taufer (New Baptists). They eventually adopted the name of Evangelical Baptists for themselves. The work of spreading the Gospel continued in earnest, and within thirty-five years around 110 congregations had been established. The church spread rapidly, and congregations were founded throughout Switzerland, the Alsace, and Southern Germany. Before long the faith had spread to the regions of Austria-Hungary, and the Balkans. In Eastern Europe, the believers became known as Nazareans. It has been estimated that before the First World War, the population of the church in Hungary alone may have numbered as many as 30,000 members. The first church in North America was founded in 1847. Responding to a request for assistance, Samuel Froelich and the other Swiss Elders ordained Benedict Weyeneth an elder and sent him to an Amish-Mennonite congregation in New York. Weyeneth’s efforts led to the establishment of the denomination’s first congregation in what is now called Croghan, New York. The church spread, experiencing primary growth in the Midwest. Though sometimes referred to as the New Amish, these believers generally called themselves Evangelical Baptists. In 1917, to avoid identification with the Baptist denomination, the church adopted a uniform name, the Apostolic Christian Church. As the church in America flourished, it drew many from German-speaking Mennonite or Amish backgrounds. The Apostolic Christian Church in America developed somewhat independently from the churches in Europe, especially those in Eastern Europe. In the turmoil resulting from the wars and hardships in Europe, Nazareans from Eastern Europe immigrated to North America. The cultural customs they brought with them proved to be at odds with the existing culture in the American churches. Though many initially conformed to the new order in America, concerns and misunderstandings grew. Unfortunately, contention centered on these cultural differences, in particular the wearing of the mustache. The Amish influence would not tolerate this practice, which was commonplace among those from the Balkans. The trouble grew until members were disciplined for refusing to shave. The European elders attempted to mediate and resolve the problems. In spite of their efforts, a division occurred a few years later. Since nearly all of the leadership of the American churches remained with the original order, the recent immigrant brethren, with the assistance of the European elders, labored to establish the brethren who had been separated. In time, they became known as the Apostolic Christian Church (Nazarean). During the post-war years, the church experienced growth through the immigration of Nazarean brethren from Communist Eastern Europe. Fleeing persecution, they came seeking a better life in North America. Many congregations retain some of their Eastern European character, especially among those groups who have more recently emigrated.